Get ready for the race of your life! In this thrilling eXtreme custom bike drag race, you are riding a modified bike (which some riders say is illegal in this parts of the world), as you zoom through canyons while trying to avoid falling boulders. 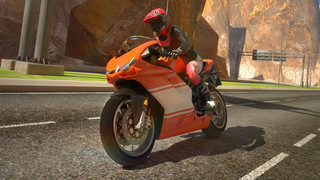 Take your custom motorbike to new heights, as you redline it to the extreme! 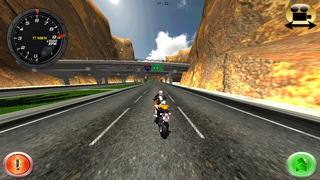 - Ultra realistic 3D environments, featuring canyons. - Simple controls. Just tile your device and push the button to accelerate.